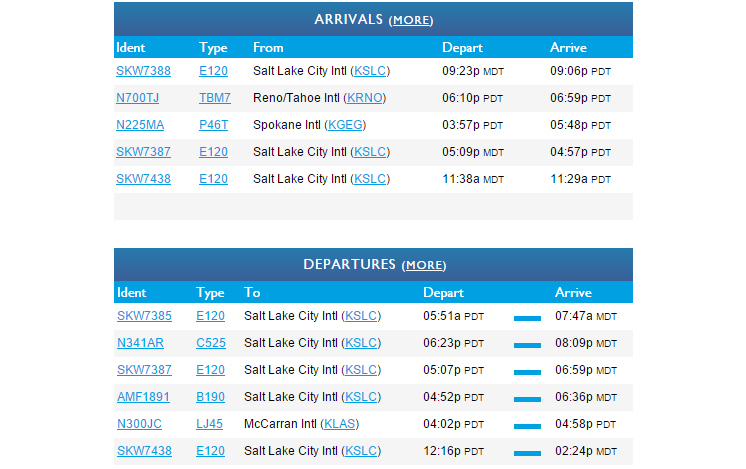 Track Elko Arrivals and Departures here. While we do our best to ensure flights stay on schedule, many situations our beyond our control. Stay one step ahead of cancellations, delays and scheduled changes by downloading the Delta Messenger. Flight updates and alerts for specific flights will be forwarded in real time to you phone. Download Delta Messenger Flight Notifications. - Click Here! 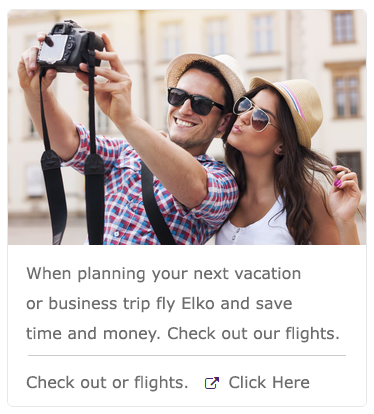 Track All Elko Flights Live - Click Here! 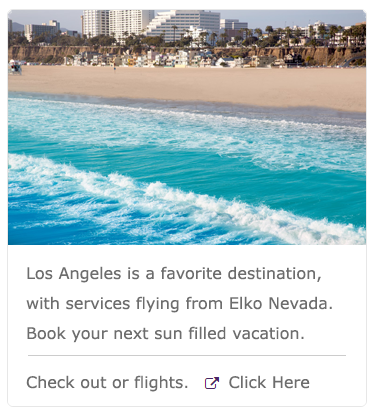 Check Delta Flight Schedules - Click Here! 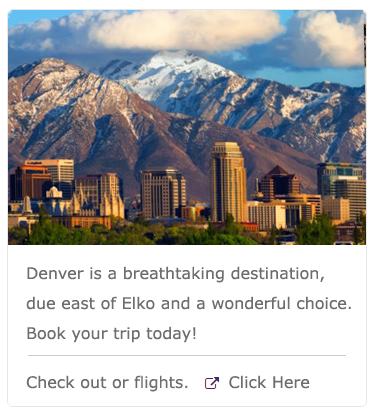 *All Elko flights are provided by Delta, operated by SkyWest. Questions related to SkyWest flights, current or future flight schedules, etc. should be referred to SkyWest Corporate Communications at 435.634.3553 or corporate.communications@skywest.com. Arrival and Departure times change seasonally. While we do our best to keep our website updated, check the Delta Schedule for the most up-to-date information. Check Delta Flight Schedules. - Click Here!